If I do something in the crock pot, I want it to be quick and simple. I don’t do the whole “prepare this” and “prepare that” before putting it in the crock pot. In my mind, that defeats the whole point of even using the crock pot. 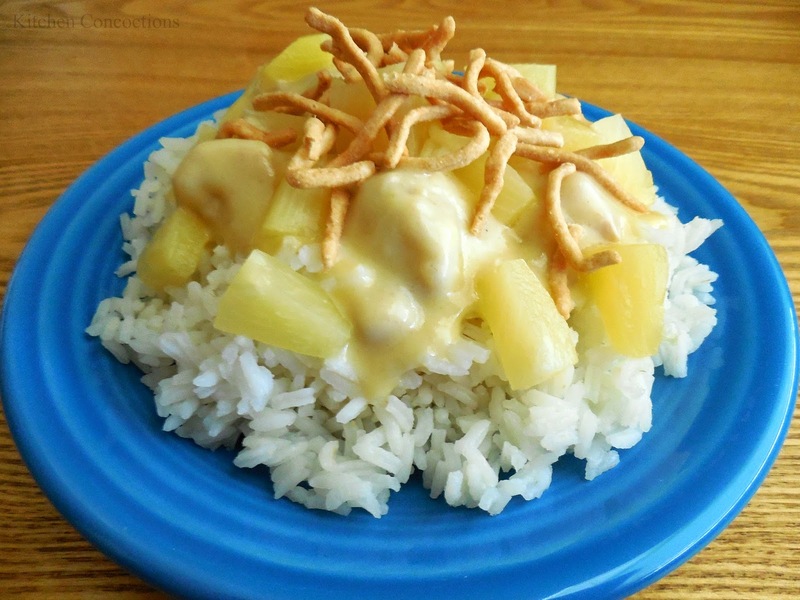 Well Slow Cooker Hawaiian Haystacks is the ultimate simple crock pot meal. It literally took me 2 minutes to put it in the crock pot, and another 30 seconds to put the rice in the rice cooker. Dinner, DONE! I don’t remember where I found this recipe, but it is truly genius! You can top your Haystacks with any of your favorite toppings. I like to keep mine simple, just using pineapple and chow mein noodles, but you can use toppings such as green onions, almonds, cashews, tomatoes, cheese, olives and anything else your heart desires! Put the frozen chicken breasts and the Cream of Chicken soup in a crock pot. Don’t add any other liquids. I tried this and it turned out too runny, and I had to thicken it again. Cook on high for 4 hours. Once the chicken is done cooking, shred it and place it back into the sauce. Serve over rice with any toppings that you want!